Durst says he wanted to be seen as "an acceptable human being"
LOS ANGELES -- A New York real estate heir charged with murder in Los Angeles told a prosecutor he cooperated with filmmakers in a documentary about his life because he wanted them to see him as “an acceptable human being,” according to court documents released Friday. Robert Durst said he gave the makers of “The Jinx” full access to boxes of documents so they would get the full picture of his life. 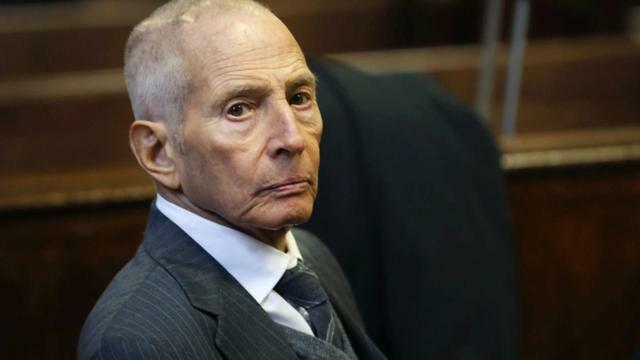 Durst told the court he was “on the meth the whole time” during the filming of “The Jinx,” according to court papers obtained by the Los Angeles Times. The series traced the mysterious disappearance of his wife in New York in 1982, his acquittal on murder charges in the 2001 dismemberment killing of a neighbor Texas, and the killing of his close friend, Susan Berman, in Los Angeles in 2000. Durst, 73, has pleaded not guilty in Berman’s killing. Prosecutors included Durst’s statement about cooperating with the filmmakers in a motion asking a judge to appoint a special master to sort through boxes of seized documents to separate material that might be protected by lawyer-client confidentiality.